After so much mistakes now Microsoft has realized that it was going against the users’ needs. The release of Windows 8 was a whopping mistake done by Microsoft, later it tried to overcome that mistake with Windows 8.1 but MS failed to fulfil the users’ needs perfectly. 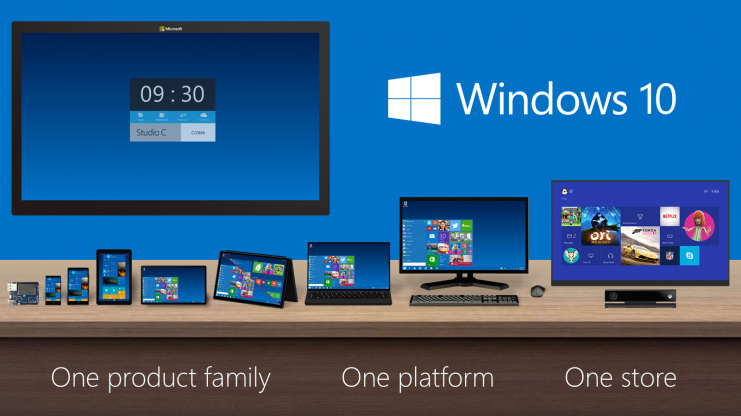 So, now after a long period of time, MS is going to launch the Windows 10. This Windows version will have some awesome features that aren’t available in any previous versions. 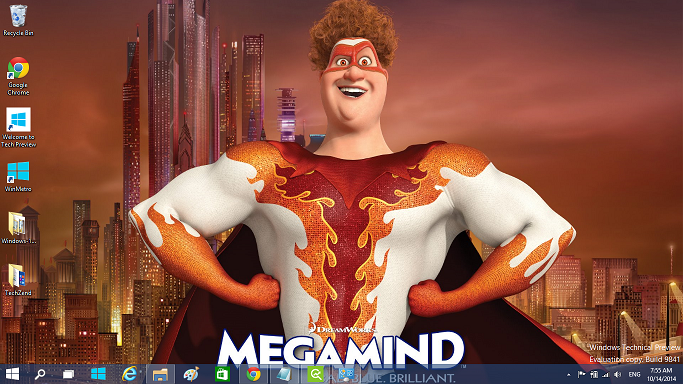 More or less this version is similar to Windows 8.1 but with better start menu, UI, charms bar and multi-tasking. I’ll write on this new Windows 10 in my future articles, but currently I need to test this Windows version in depth. Today Microsoft is going to launch Windows 10 technical preview for developers and computer experts to test Windows 10 intensely. 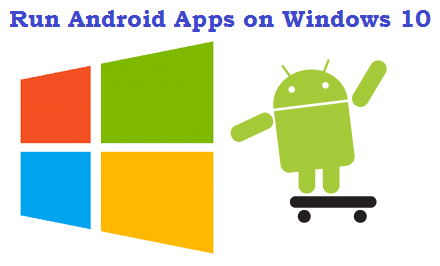 As always MS will provide its users with ISO files of 64-bit and 32-bit Windows 10 versions and this article will provide you step by step guide to install Windows 10 on your computer. Before installing Windows 10 via USB flash drive, please check that does your computer meet the system requirements of Windows 10 or not. 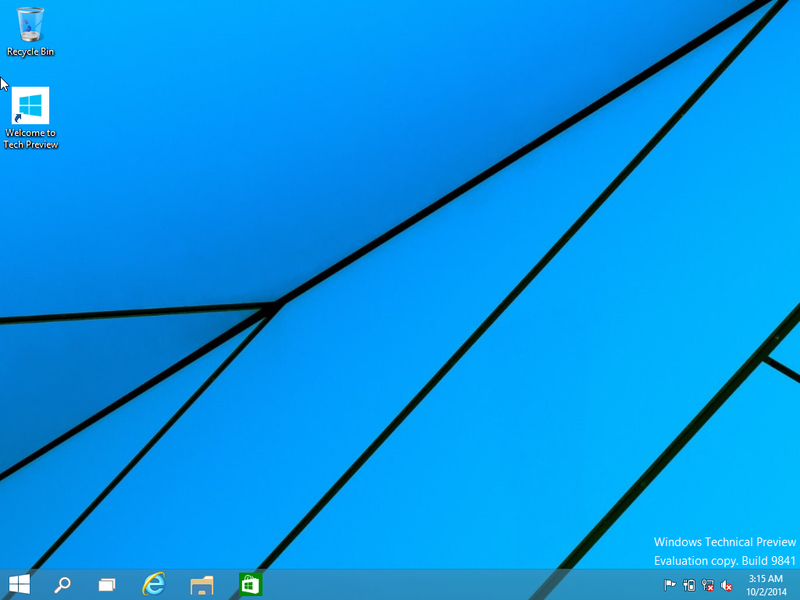 Download links for Windows 10 Technical Preview are available now. 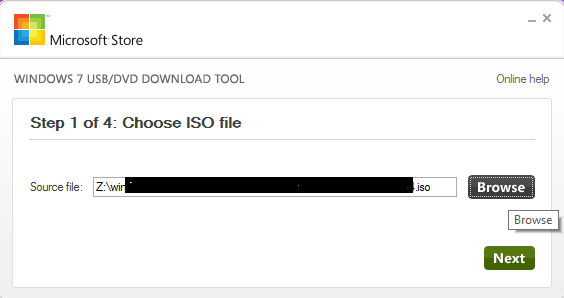 You’re required to download the relevant ISO file from that link and it will take some time to get into your computer, because the file’s size is in few GBs. Precaution: Please don’t download the ISO file from elsewhere or via torrents, because non official versions of Windows carry malwares and spywares with them. Step 1: First of all bring a USB drive that should have minimum 4GB of storage scape and also backup its data, if it has any important files in it. Step 2: Download this tool and install it on your computer, this tool will help you to create a bootable USB of Windows 10. Step 3: After successful installation, run this tool and click on “Browse” button available on the right side of the tool’s interface. 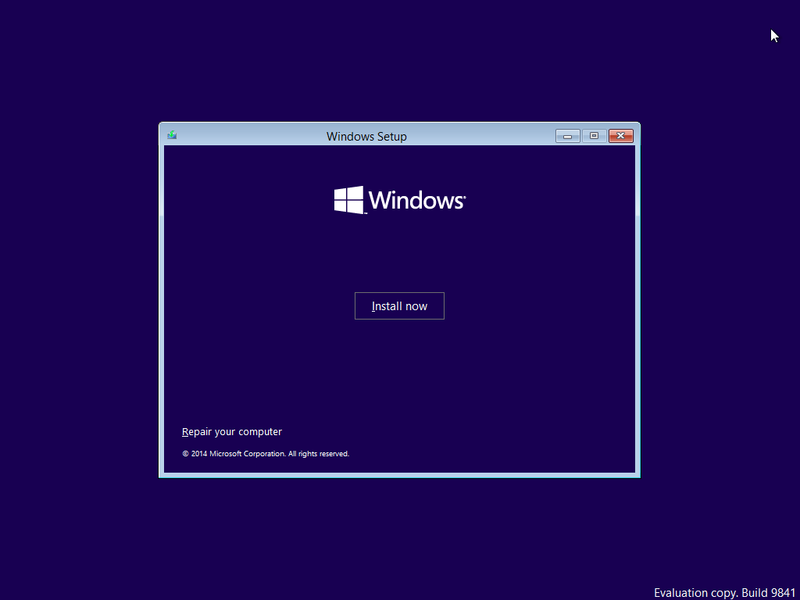 Select the downloaded ISO file of Windows 10 technical preview and open it. 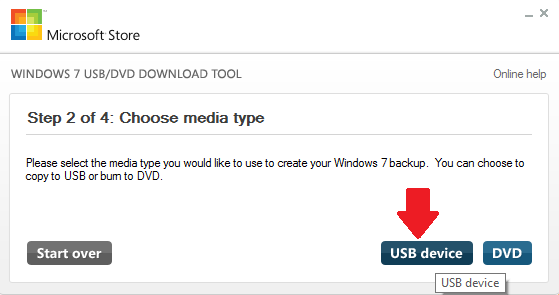 Step 4: Now click on “Next” button and it will ask you to select the media from which you’re going to install Windows 10, click on “USB Device” button. 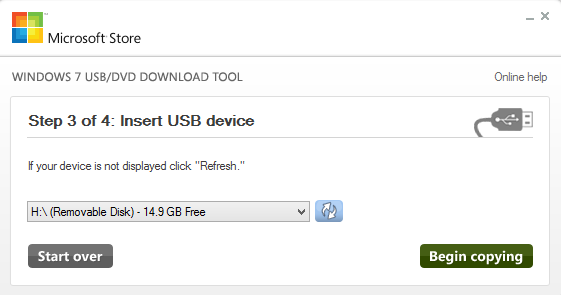 Step 5: Now select your USB drive that you’ve connected with your PC in the first step and click on “Begin copying” button to start the process. Step 6: Now the tool will perform rest of the process by itself. After few minutes your USB will become bootable. At this point, you’ve completed almost 50% of your work, after that start installation process by taking your computer into the boot mode, I’ll share the whole process of installation in the next article. 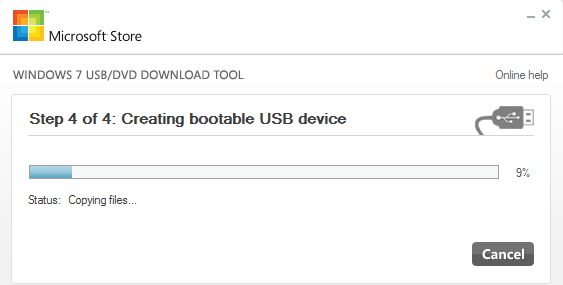 Step 1: Connect your bootable USB with your computer/laptop and restart your laptop, from the boot configuration, set the booting option to “Boot from USB”. Note: The above step is different for every laptop made by different manufacturer, do it by yourself and set USB the primary booting device. Step 2: Now the Windows 10 technical preview setup will start loading and you are required to follow the below steps to successfully install it. 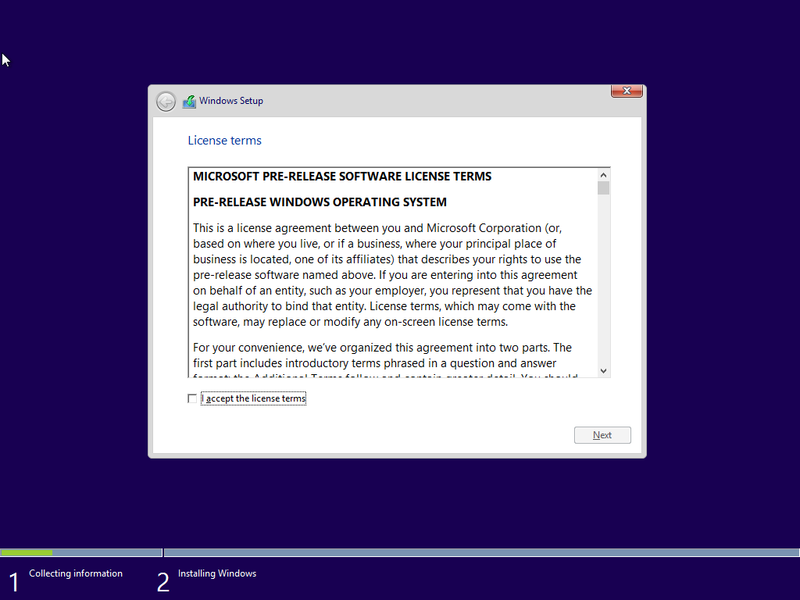 Step 3: From the installation screen press the “Install Now” button and accept the terms and conditions of Microsoft and click next. 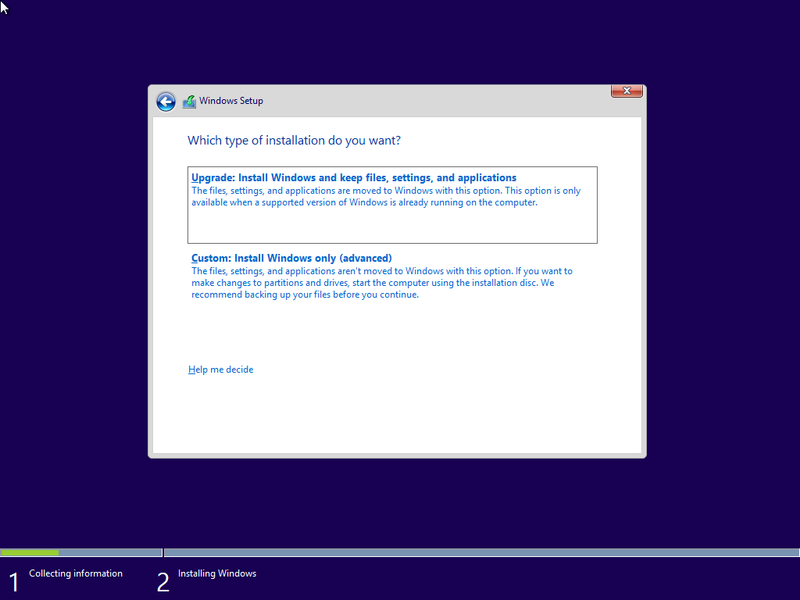 Step 4: Now choose the option to install a custom Windows copy. See the below screenshot. 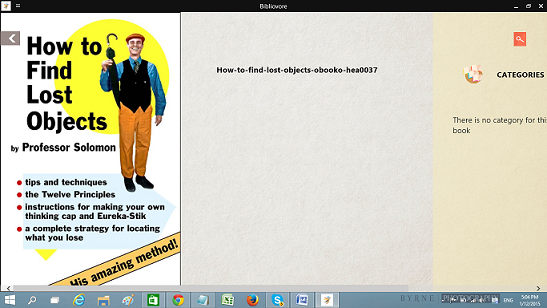 Step 5: On the next screen, there will be options to delete, format hard drive partitions and more. You’re required to format your primary drive on which you are going to install a fresh copy of Windows 10. Remember that, it will entirely remove all of the data and old Windows version from the primary drive. Step 6: After formatting it, select the formatted primary drive and click next button. 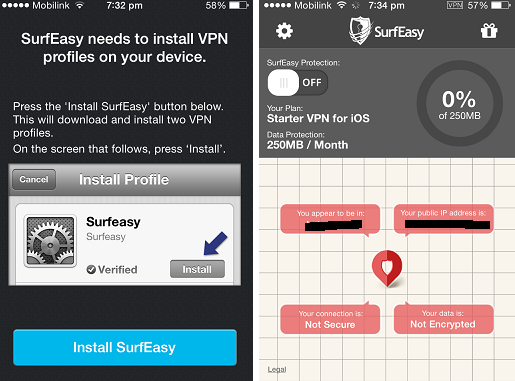 Now the installation process will start by itself and you’re not required to do anything during this process. After completion of installation process, your machine will reboot and after few setting you’ll be able to see the below available screen. 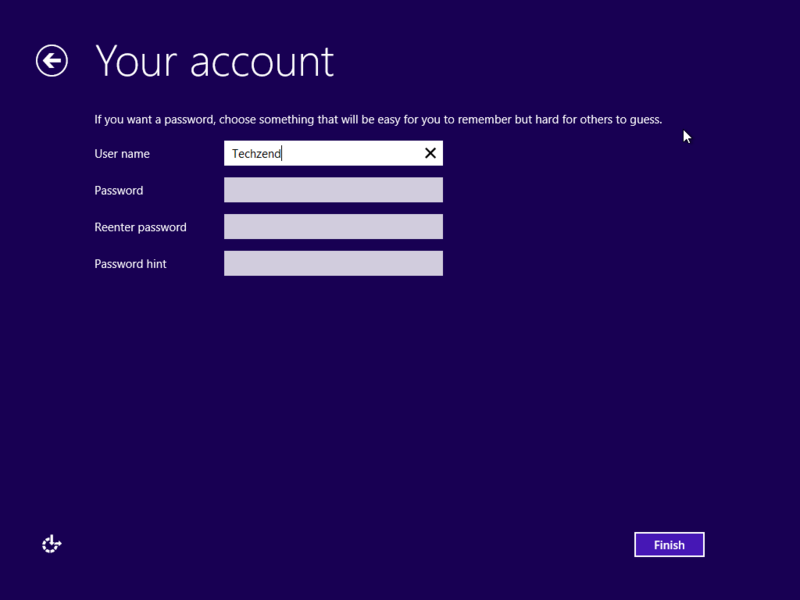 Step 7: Fill in the information required by Windows 10 and you’ll successfully install Windows 10 technical preview on your device. There’s a way to dual boot with the VHD method WITHOUT the use of external media. This option is best for any individuals who wish to dual boot with Windows 10, but do not have access to any USB or DVD media. It turns out this guide works for installing the Windows 10 Preview from within Windows 8.1, and there are no guides on the internet yet for this exact scenario! Updates/Upgrades do not work when booted into the VHD this way, and must be updated through a VM on the host OS.